I got this as part of a SF pack from Iambik; it's not anything I would've picked up otherwise. Swords, magic, and palace intrigue, nominally on some distant planet with multiple suns and moons, but for practical purposes in a stereotyped medieval Islamic world. 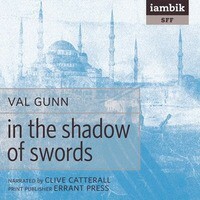 I only listened to about half an hour before the flood of clichés became too much.The audio narration is fine. 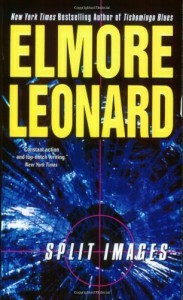 The narrator adopts a breathy, close-to-the-mic style, which is appropriate for what's supposed to be edge-of-the-seat mystery and action, but his fills (fairly frequent) sound distinct (less breathy, farther from the mic). The whole point of fills is that listeners shouldn't be able to detect them. 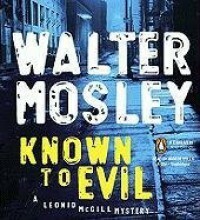 I've never read a Walter Mosley book before and he's supposed to be good, so I picked this one up for a driving-around book. The characters and plot seem OK, though they skirt close to generic lowlifes at times, everyone suspect, everyone with mixed motives, everyone a similar shade of gray.But the reason I abandoned this book two CDs in was the god-awful audiobook narrator, one Mirron Willis. He has a very liquid voice, in the disturbing sense of audible lip-smackings and saliva movements—OK, so maybe some listeners like that? But his accents are inconsistent, unrealistic, and incompetent; his women are all breathy whisperers; and he regularly overpronounces and mispronounces words (I caught "Paul Klee," "zazen," and "satrap"). These are all inexcusable mistakes, and if a professionally-qualified narrator makes them anyway, then his or her producer should find and correct them.It got to the point where I was wincing in anticipation of the narration rather than paying attention to the story, and that's when I gave up. I'll probably try another Mosley at some point, but I will never again subject myself to narration by Mirron Willis. I read a chapter. I don't care who calls this a classic; it's lumpy, pretentious twaddle. The endorsement by T.S. Eliot—himself a classic of lumpy, pretentious twaddle—should've told me as much. Jeezus what a load of crap. I'd hoped it might err on the side of silliness and irreverence, but it was just stupid. Flat, affectless writing, too, beyond the point where that might've been ironically amusing and into the territory of boredom. I read 20% and gave up. Well, just when I was getting back into the swing of reviewing things on Goodreads, with a book I enjoyed, they go and sell out to Amazon, where I don't want my data going. Right now this is review is the venue available to me, so I will petulantly withhold my review. Boy, don't you regret it now, Goodreads? Not nearly enough detail in the narrative, and while the huge showings of sample words are great—and Coles correctly points out the unique design details—there's no other sample setting, no showing (and usually not even a mention) of other styles in the family, no examples in use.... 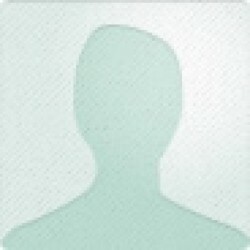 I would have rather seen that level of detail (on more pages per face) and fewer faces in the book. Yes, there were quite a few new designs included (new to me, new overall—some I think even date from as recently as 2012), but all I really got is a list of faces to check out more thoroughly elsewhere. And if the point was to highlight great recent work, then why include the old stuff? 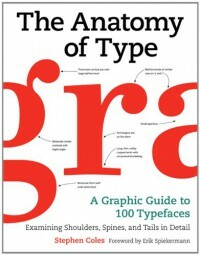 One of the book's arguments is that type design happens in a particular context, but the book itself provides minimal information about that context (cultural, historical, functional, economic, and let's not forget visual).I'm left thinking that this book will be most useful for type designers: as a catalog of tricks and quirks, with some discussion of why and how they work for the eye, and in what media. There are so many different ways to shape a serif or a terminal, so many variations of stress angle and stroke weight—there must be millions of combinations still untried. After enjoying the insane brilliance of [b:Rex: A Novel|6134954|Rex A Novel|José Manuel Prieto|http://d.gr-assets.com/books/1328823947s/6134954.jpg|6313517], I got this earlier novel from the library. 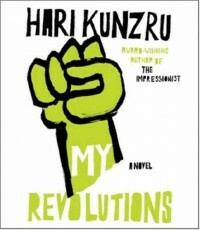 (It's his second book, but the first to be translated. Rex is his third, but translated into English second; [b:Encyclopedia of a Life in Russia|15811126|Encyclopedia of a Life in Russia|José Manuel Prieto|http://d.gr-assets.com/books/1359423121s/15811126.jpg|21536301] is his first, translated third. I think?) Prieto is a Cuban writer, now living in New York City, but these three novels (Esther Allen, who translated the other two, refers to them as a trilogy) stem from the decade-plus he spent in Russia. 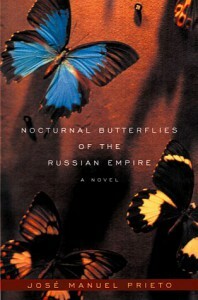 So take your Russian heavyweights, mix with Latin American aesthetics (more Borges than García Márquez), and add in some cosmopolitan postmodernism (Nabokov above all).... it seems unlikely, but it works.Nocturnal Butterflies doesn't work as well as Rex, though. It's an epistolary novel, nominally consisting of the drafts of seven letters from J., a Cuban smuggling Russian goods to the West, to V., a woman he has met in Istanbul, where he was meeting a Swede to arrange an expedition to the Caucasus to find a rare butterfly. J. is in Livadia, on the Black Sea, and expected V. to join him there, but she only sends letters instead. We read only J. 's drafts (or maybe they're not his drafts—they're narratives, structured according to the intervals between incoming letters, but they're not really addressed to anyone). J. reads not only V.'s letters but piles and piles of books of great letters from history—Russian authors, Abelard and Héloïse, Paul's epistles, you name it. 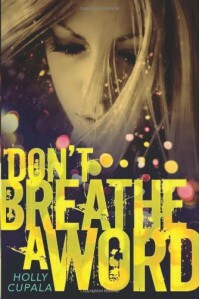 And that's where the book disappoints, because while J. 's character unpeels itself from a noble and scholarly butterfly-hunter to a wannabe lover/smuggler/adventurer—and that's reflected in the prose, which gets more entertaining as the book goes on—what I also wanted, after reading Rex, was for that prose to be so suffused in J. 's epistolary models that the reader couldn't be quite sure of even reading J. 's story any more, rather than some other letter-writer whose consciousness had leaked in.It does that a bit, but not enough. Perhaps the translators aren't quite as skilled as Esther Allen? Nocturnal Butterflies starts off slowly and the pomo pyrotechnics don't really get going until halfway through. And even then they seem muted, subtle—and I don't think subtle is Prieto's thing.If you liked Rex, you'll like this book—but don't expect to like it as much. Rich guy decides he likes killing people, hires a corrupt ex-lawman to show him how it's done. I figured I needed something completely ridiculous during election season. A mention in James Wood's How Fiction Works prompted me to pick up a couple Sparks from the library. Of course the mention was of The Prime of Miss Jean Brodie, but that wasn't on the shelves. 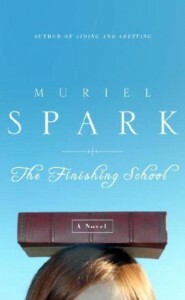 Instead I got The Finishing School, which turned out to be her last novel. She was in her mid 80s when she wrote it.Does that mean it's a fuddy-duddy prim tale of old-fashioned people fighting to teach the kids (the kids these days!) how to be prim and old-fashioned? Hardly. Rowland and Nina run "College Sunrise," a scattershot affair of only 9 students currently located on the shores of Lake Geneva. The major plot involves Rowland's desultory attempts to write a novel and their derailment by his jealousy in the face of 17-year-old student Chris' seeming success in the same pursuit. Students sleep with gardeners, teachers sleep with locals, authors sleep with publishers: everything happens in this book except any indication of actual education being imparted or received. Well, education in the school of life, perhaps.In length and (lack of) heft it's really a novella, and the prose is so simple and sparse that it feels even lighter still. 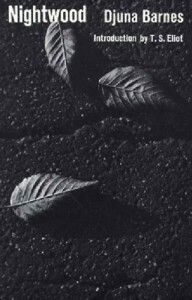 But in that same simplicity it approaches the abstraction of Henry Green. Good fun, and I'm sure I'll be reading more of Muriel Spark in the future. It was thrilling, at first, to read contemporary criticism which addressed obviously important authors like DFW and Sebald (though they are dead too) in the same terms as Flaubert and James, explaining why what they do is good when it is and offering no excuses when it isn't. And it was exciting to see someone discuss novels in the same terms of narrative mechanics as workshop teachers apply to the short story. I'm very interested in novels and I would love to understand more about how they work or don't.But it turns out that, like any organism, novels are more than the sum of their mechanical parts. 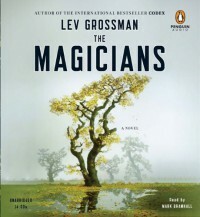 As the book progresses, Wood trails off deeper and deeper into incomprehensible minutiæ—there were passages I could make neither head nor tail of—and, as much as I should've been expecting it, I was disappointed to be left without the total manual for the novel implied by the book's title. Wood seems to know as well as any critic around what's worth thinking and writing about, but he doesn't have the answers any more than anyone else.Wood places (p. 154) Rameau's Nephew and Invisible Man in the same lineage as Stendhal, Conrad, Svevo, and Bernhard, which reminds me to read or reread them all—though I still doubt I will enjoy Dostoyevsky, also in the same list. 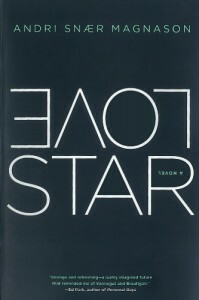 His description (p. 110) of how Saramago's exploration of fictional construction of character is a mirror image of the American postmodernists' (Barth, Auster) gimmickry reassures me in my own naïve sense of what's good and bad. The book is full of worthwhile reading suggestions, handily collected at the end; you could do a lot worse for a canon of classics.Wood writes, "I think that novels tend to fail not when the characters are not vivid or deep enough, but when the novel in question has failed to teach us how to adapt to its conventions" (p. 120). (The clumsy switch from plural to singular shows how ill Wood's own writing serves his ideas.) I think this may be the key to the whole enterprise, and if he'd really concentrated on how a novel might "teach us how to adapt to its conventions" he could've lived up to his title. But Wood remains largely outside his examples, explicating them rather than letting them unfold themselves.Partly that's the impossibility of making an excerpt do the work of the entire text, but I think he also lowers his own standards over the course of the book. It doesn't conclude, it just trails off—with Wood, in defiance of his own complaints about other critics introducing meaningless jargon, introducing his own. 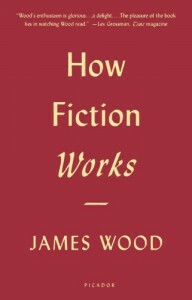 When Wood suggests at the end that the secret to fictional realism is "what I must call lifeness: life on the page, life brought to different life by the highest artistry" (p. 247), it sounds profound but explains exactly diddly-squat about "How Fiction Works." Fair enough—it's a tall order—except he was the one who chose that misleading title. If Wood's book had taught us appropriately to adapt to its own conventions, this wouldn't be such a letdown. This got off to a rough start, as we need the background of how and why Joy fakes her kidnapping from her middle-class Issaquah home and goes to live on the streets on Capitol Hill as Triste. What's rough is that her privileged and manipulative boyfriend Asher—the guy she's escaping—is just too evil to be believed, meaning in particular that Joy's initial attraction to him doesn't make sense. Of course she'd want to escape! Fortunately, once the setup is taken care of we don't really have to see him again.When the scene shifts to Capitol Hill, among the panhandlers, street rats, pimps and prostitutes, abandoned-house squats, drug addicts, and suspicious aid missions, the book gets a lot more believable. Yes, the homeless musician Creed who becomes Triste's protector is unnaturally handsome and talented, but this is fiction after all; given that, his appearance and habits and actions all feel plausible for the context. I've never been a homeless asthmatic street rat on Capitol Hill, but Cupala manages to make us believe maybe she has. Joy/Triste's reaction to and education in her new milieu feels entirely appropriate, and while the ending is (of course) happy it's not all smiles and sunshine. The asthma occasionally veers into plot device territory, but mostly stays clear.It was also nice to see Seattle from an unusual perspective, though Don't Breathe a Word seems to suffer a bit from Hollywood editing—physically impossible trajectories and juxtapositions of landmarks. Triste and crew do walk a lot, though, so maybe I just skimmed over those transitions. The one serious glitch is on p. 150, where we're told they go to "Pike's Place market"; even a coddled Issaquah teenager like Joy would know it's "Pike Place," after the plaza at the end of Pike Street, and there's no possessive, no apostrophe, and no "s" anywhere near the place. Holly, I sure hope you can blame some New York editor for that one! Spotted on a friend's coffee table: I like WIlla Cather, I like writing, and it's short. This isn't a coherent volume at all, just some scattered introductions and reviews, but Cather's aesthetics are so different from those predominating today that a few hours of visiting with them is bracing, salutary.Perhaps the easiest summary here of that difference is in the Foreword by one Stephen Tennant (itself dating to 1949): "A great writer should always have an anonymous quality, something remote like a pregnant silence—which is silent, and yet contains all sound, all time, all things." 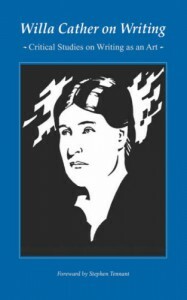 Cather finds that greatness in Sarah Orne Jewett, Katherine Mansfield, and Stephen Crane, and emphatically not in Defoe's Roxana. She seems to have gotten the memo about the worth of negative reviews.The Roxana essay (written as an introduction to a Knopf reissue!) damns the book as petty, mercantile, and heartless, making no allowance for that being Defoe's intent. 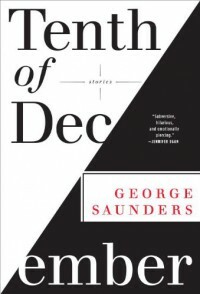 In that essay and in "The Novel Démeublé" (it's another sign of this book's antiquity that French words and passages are not translated for the reader), Cather spares nothing in condemning the then-hot (she wrote most of these pieces in the '20s) novel of bottomless description and endless domestic detail. I wonder how Franzen might respond to her points; but I also wonder where Perec's Les Choses fits into her scheme. That novel's insistent foregrounding of material items and commercial transactions seems, thanks to Cather, to have been anticipated by Defoe's novel, and while neither one would hold any position on her axis of literary value, I can now see a possible progression of experiments in coopting non-literary language for literary purposes.There's not much here that will directly help the writer with his or her own projects, but it's a quick and refreshing reminder that the way we read and write doesn't have to have changed with times and technology. Some classics are classics for good reason. 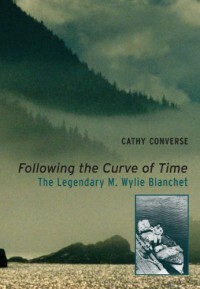 It's not nearly as good as M. Wylie Blanchet's original book The Curve of Time, but in filling out a little more detail of its subject and its author, it reminds you of those original pleasures.Capi Blanchet was a reticent woman; most of what we have of her directly is in her book. So the biography here concentrates on her original family in Quebec, and her own family consisting of the five children who accompanied her on the voyages of the Caprice. The heart of this book is devoted to retracing those trips, with updated descriptions and correct native names for places. In many cases, the site has been abandoned to decay and decades grown over; in others, it's been developed and now sees more boat traffic in a day than it did in a year in Capi's time. In neither case is the news pleasant, or unsurprising.The boating sections veer closer and closer to a cruising guide, which is only to be expected since that's Converse's experience and the origin of her interest in Blanchet. But it's clearly written and nicely produced, with many photos and almost enough maps. If it doesn't succeed in reviving the Caprice or rendering more vivid Blanchet's picture of the BC coast, it comes as close as any book likely ever will.